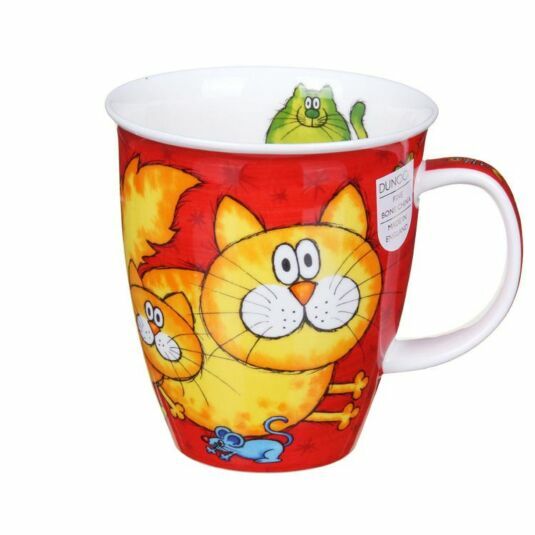 Startled orange moggies feature on this mug from Dunoon, caught out by a blue mouse which is flashing past them! The cats are depicted in a humorous cartoon style with huge cheeks and long eyelashes. 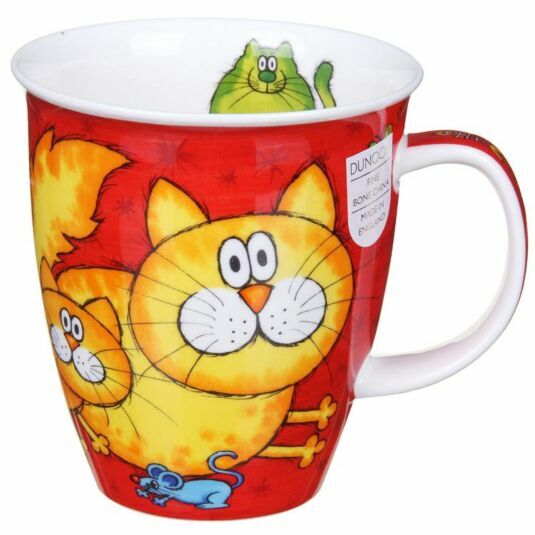 The mug is produced in bright colours, yellow and orange cats on a red background. A perfect gift for cat lovers, and people with a sense of humour. Jane is an artist whose designs feature on many of Dunoons mugs. She grew up on a farm in North Wales, and over the years has won various awards for her designs which now appear on a variety of gift products including mugs. She uses gouache, pastels and acrylics for her work. Her friendly cartoon-like and humorous animal portraits feature on many Dunoon mugs.